I live in Parke County, Indiana, a county full of rich history, tourism based around covered bridges, and home to a growing Amish population. Today, the largest town in the county is Rockville, the county seat. That almost didn’t happen. 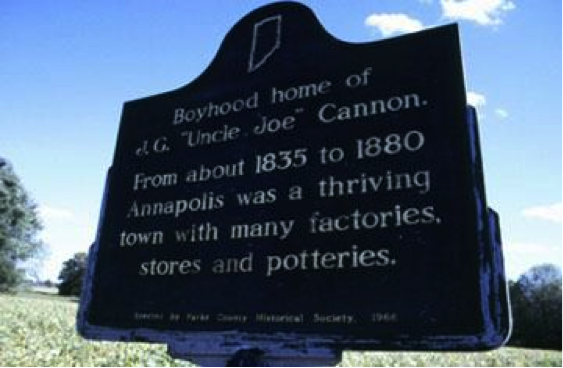 According to Indianagenweb, in the early 1830’s the towns of Bloomingdale and Annapolis were growing about as fast as any town in the county. Some in the area wanted to unite the two towns to ensure growing commerce and population. The leaders in Annapolis did not want to leave the area they had just settled. It proved to be a fateful decision, as the railroad went through Bloomingdale, and the riverboat traffic ceased to Annapolis at roughly the same time. Now all that is left is a small group of houses, a couple road signs and a historical marker about one of its famous former residents who was a congressman. If I could tell youth workers in Rural Communities one thing, here is what I would say. Cooperate. It sounds like something that is so simple we can (kind of) teach a four or five year old to do it. However, in the context of ministry, it seems so hard. We have all these obstacles that stand in our way called denominations, histories and grudges. However, it is not impossible. It just takes work. Once you latch onto this principle, it will become your lifeblood in rural youth ministry. If you fail to do this, it may be your downfall. Yes, it’s that important! When I train youth workers, I tell them to take a lesson from your students. They do not refuse to play on a sports team because of teammates with differing religious views. They don’t typically refuse to sit at a lunch table with someone from a church on the other side of town. We must realize that as workers in God’s kingdom, he has assigned us a purpose and a function as a part of the overall body of Christ (1 Corinthians 12:12-14). In many places we look at “the body” and see what is very unhealthy. A foot over here, a hand over there, both detached from their respective legs and arms. Youthworkers, we need to see this for what it is. It is unhealthy. God does not desire this. He desires us to come together for one purpose. To see people in our communities transformed by the message of the Gospel of Christ and the work of the Holy Spirit in our lives. Rural youth workers (and all youth workers), find places to cooperate and share resources. It may be through networking or simply planning a couple events together per year. Start small. Trust me, in many communities, it will be noticed when youth workers begin to work together. Go build relationships with those you are working with on the front lines to change your community in the name of Christ! Brent Lacy is a Rural Youth Worker at FBC Rockville, Indiana where he lives with his Wife and three kids. He is also the author of Rural Youth Ministry:Thrive Where You’re Planted. Brent blogs at MinistryPlace.Net with some other great Rural Youth Workers.